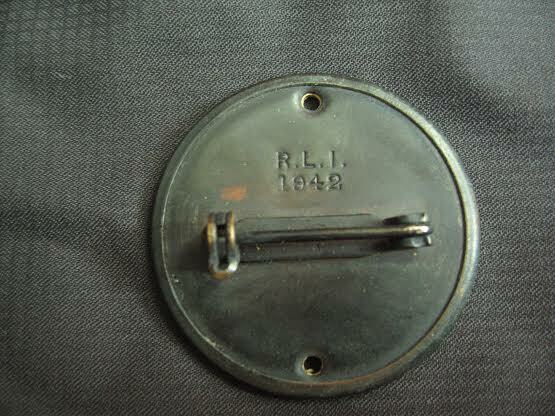 This is rare... a Canadian made anti-gas brassard dated 1943. Most of these I've seen were British made with the Canadian C broad arrow acceptance stamp but this is the first Canadian made example I've come across. A very nice example! Exceptional piece. The person I purchased this from found several inside of an anti-gas wallet. Can you please explain the anti gas items for me? 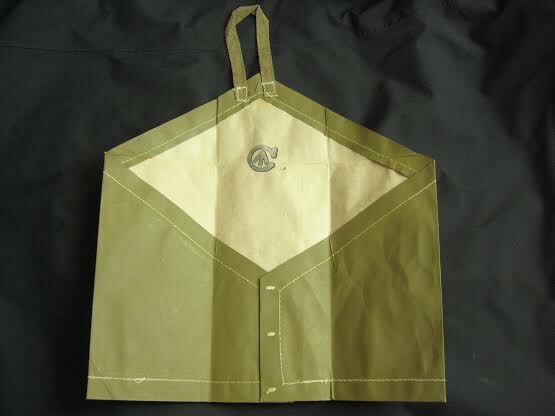 I recently saw a ww2 anti gas helmet cover. What was the purpose? George G wrote: Can you please explain the anti gas items for me? 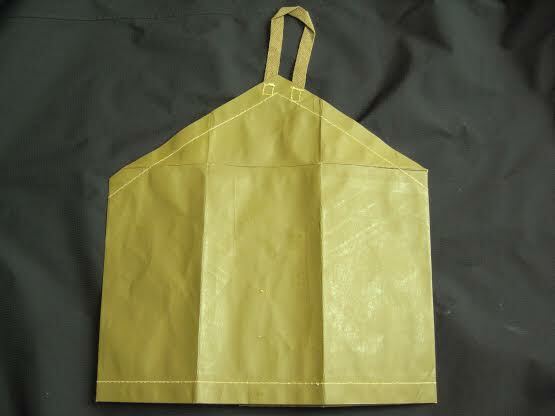 I recently saw a ww2 anti gas helmet cover. What was the purpose? There is lots of info online if you do a search. 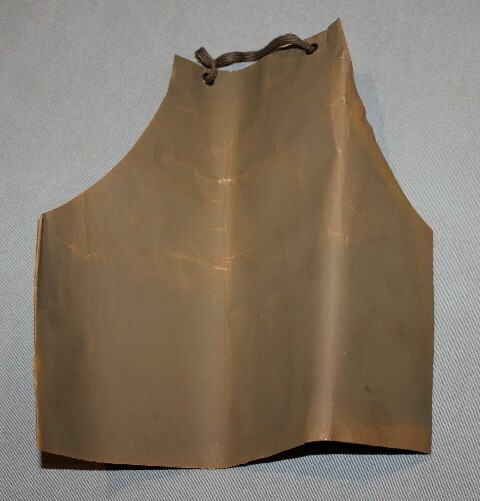 A very brief explanation is that soldiers were issued with anti-gas items such as a helmet cover, hood, and cape that were made from an oilskin type material that essentially acted like rain gear and would repel liquid chemical attacks. 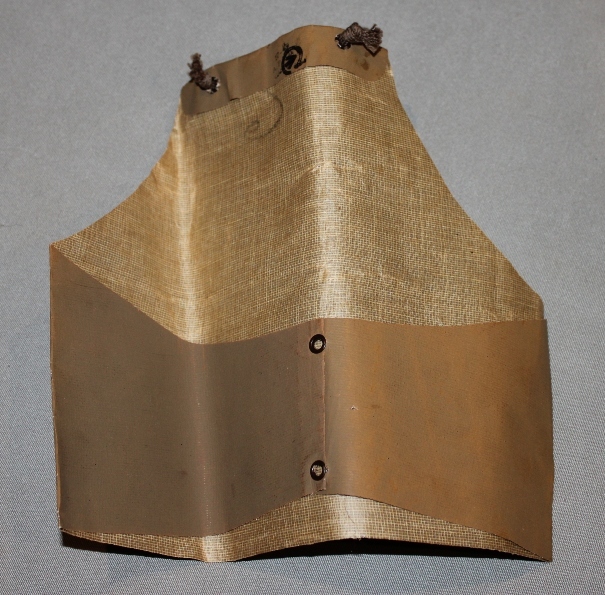 The brassard which is shown here (could have been more accurately described as a gas detection brassard) was worn on the arm and would change color when it came into contact with chemical agents to alert the wearer that he had been contaminated. 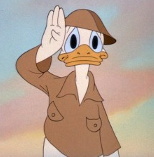 Considering almost every soldier was issued one of these during WWII you would think there would be more around. 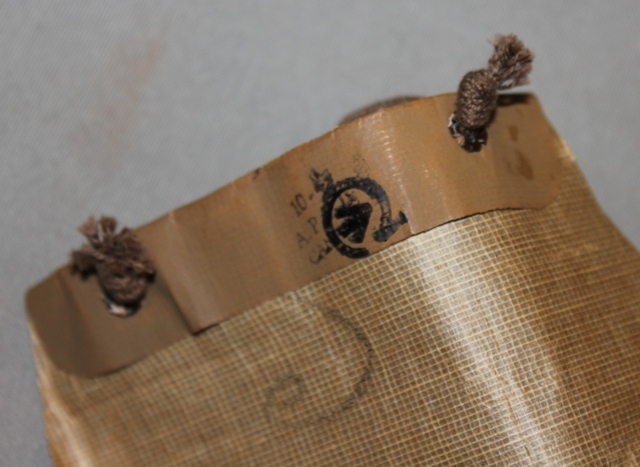 You see lits of gas masks, bags, hoods and so on but gas detection brassards are very rare. 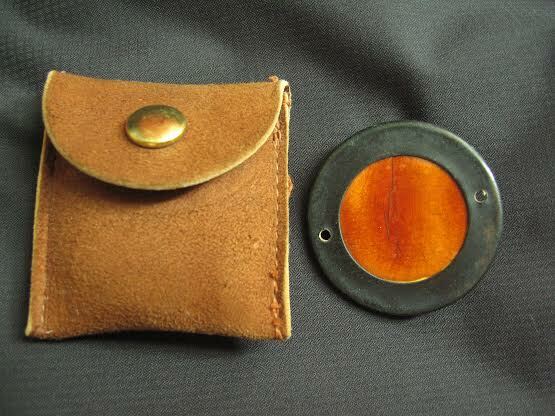 I managed to find a Canadian made example a few years ago, it is of different construction than the one posted here. 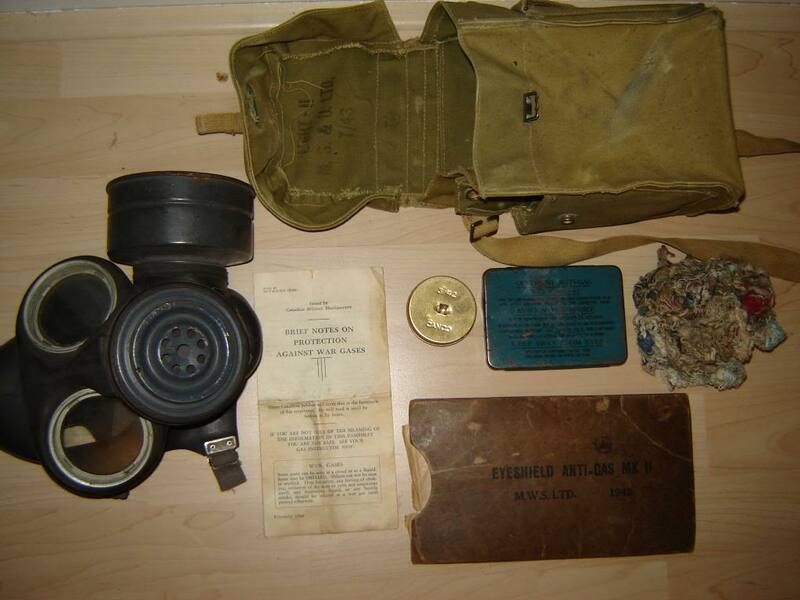 I bought a gas mask and bag and found the brassard and even a luminescent disk. I was very happy to find that. I will post pictures of both items one day. ...and here are some photos of his 1942 luminescent disc. How common are the Canadian ointment tins,I have this one in my collection. This is the only one I ever have come across. In my opinion based on what I have seen at shows and online they are not that rare. 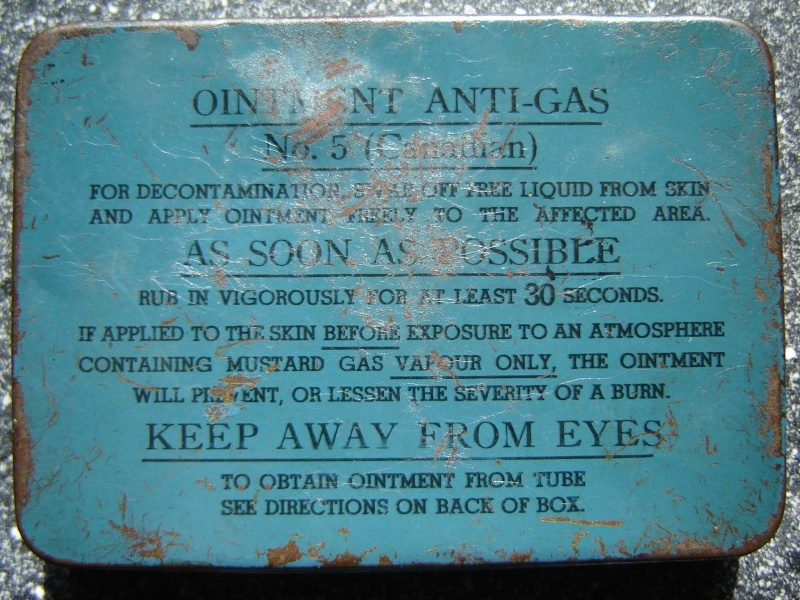 Anti-gas tin's changed color as the ointment evolved and was improved during the war. 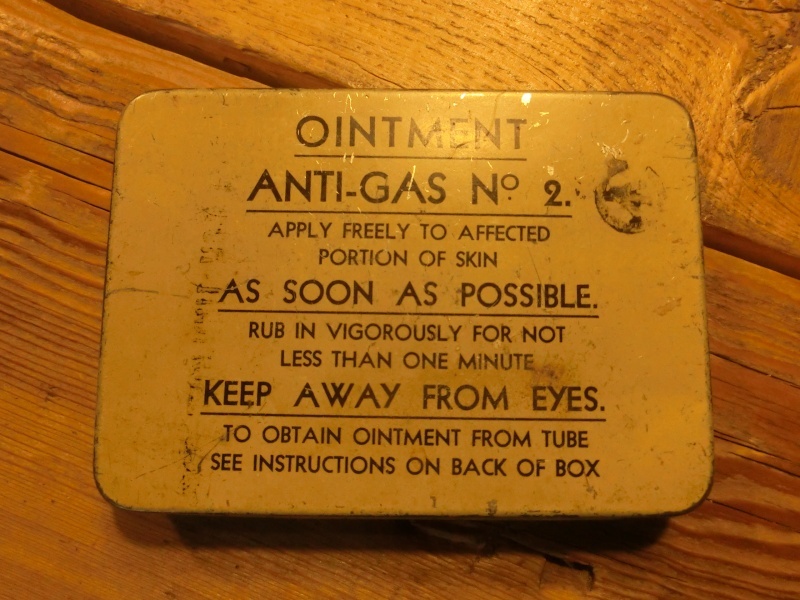 The ointment was first issued in glass jars and changed to lead tubes in tins. The No. 2 ointment was issued in a sand colored tin, I believe they are the most common as I see them more often. The blue and green tin's of subsecquint upgrades to the ointment are rarer but not that rare to find. The real hunt is to find a tin with the tubes still inside and not leaking. So the Canadian tins do also come in different colors? The British tins are pretty easy to find overhere,but as I said the Canadian ones you never come by. Yes, have a couple of the buff/sand colored tin's that were made in Canada. Here a sand colored tin from my collection. I don't think they are hard to find here in Holland, I had several of these Canadian tins. But is this a Canadian tin or a British one with a Canadian acceptance stamp? The maker is either on the back side or on the hinged side of the lid. Here are some Anti-Gas Accessories.